Italy and its lakes: a great location for couples and families, and unforgettable destinations to keep in mind and explore on vacation. Going to visit an Italian lago it is extremely easy. You need only to choose a region and you will find a lake!!! Our trip starts with Lake Como, Italy’s most popular “lago” and a top destination also for internazional VIPs. A lovely temperate weather, waits for you at Lake Como any time of year. The lake is embraced by a number of fantastic villas and resort villages as well as hiking paths. What to do once you get there? A romantic boat trip, some water activities, and bird-watching. Lake Garda is the largest among Italian lakes. The surroundings are amazing: medieval castles and breath-taking promenades on the shoreline. The different landscapes invite to diverse activities: the beaches are located along the southern shores and rocky cliffs. Its clear water are beautiful. The rest for swimming, sailing, and wind-surfing. Near the lake you can visit Gardaland and other amusement and recreational parks: take your kids there. Lake Garda is in northeastern Italy between Venice and Milan. Lake Bolsena is Italy’s fifth largest lake. Located in the Northern Lazio region between Rome and Tuscany, it is in the crater of an ancient volcano. Bolsena is beautiful also to visit and sleep over: it has a medieval centre with a mastodontic fortress at the top. Lake Maggiore is another pretty large and popular lake located in northern Italy (namely, north of Milan and west of Lake Como). It is interesting to notice the northern part of Lake Maggiore also belongs to Switzerland. The lake was created by a glacier and it is surrounded by hills in the south. The quiet mountains are in the north, with mild climate all year. Three fab islands are in the centre of the lake and you can visit renting a boat. Lake Massaciuccoli is an amazing location with a wildlife reserve close to the sea. The small town of Torre del Lago Puccini are pretty close and revolving around tourism from April to September. Go off and visit the villa-museum on the lake: Puccini lived and wrote there a lot of his famous operas. A fantastic and important summer opera festival is in the outdoor theatre in a splendid location: it overlooks the lake. Lake Trasimeno is in central Italy in the Umbria region near Tuscany, and here you can feel at the centre point of Italy. Trasimeno is Italian largest but non-Alpine lake. It is shallow and this particular lake is pretty famous all over the world and in the history books. Why? The reason has to look up into the books: Trasimeno was the site of the battle between Hannibal and Rome warriors. 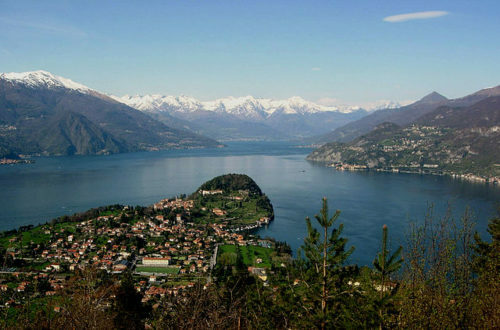 Historical towns around the lake and the large island, Isola Maggiore, famous for its lace-making is good visit. One of the most interesting towns around is Castiglione del Lago. It is a medieval centre and a defensive castle close by the lake. Lovely beaches are all around the lake full of tourist from every country and walk of life. We close the long description the small and cute Lake of Orta: you will find it west of Lake Maggiore in the northern Italian lakes district. In the recent past Lake Orta was a popular location beloved from poets and artists. From the village of Orta San Giulio, really pretty, you can go and enjoy by boat the trip to the one island in the lake. Another lovely and wild escursion will be climbing Sacro Monte (the sacred mountain), where there is a sanctuary which was built in 1591 and lots of small chapels all dedicated to Saint Francis. This entry was posted on Saturday, February 23rd, 2013 at 11:57 pm	and is filed under Discover Italy. You can follow any responses to this entry through the RSS 2.0 feed. You can leave a response, or trackback from your own site.